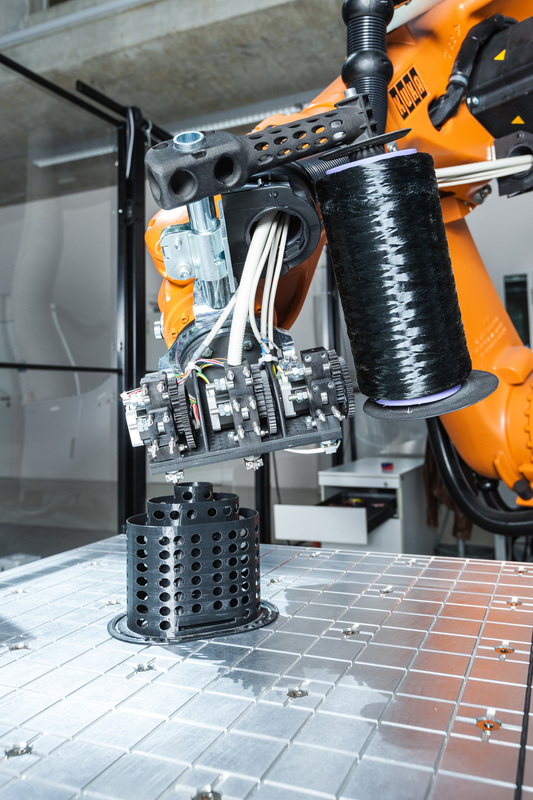 Andreas Fischer is project leader for Additive Manufacturing (AM) at the Fraunhofer Institute for Manufacturing Engineering and Automation (IPA) in Stuttgart. He conducted the strategic development of Fused Layer Modeling (FLM) as a research topic within the Fraunhofer IPA and initiated the research project 3D Fibre Printer that got funded in 2012. As part of the research work on this project he successfully filed three patents. Furthermore he was involved in several publications in the area of 3D-printing. 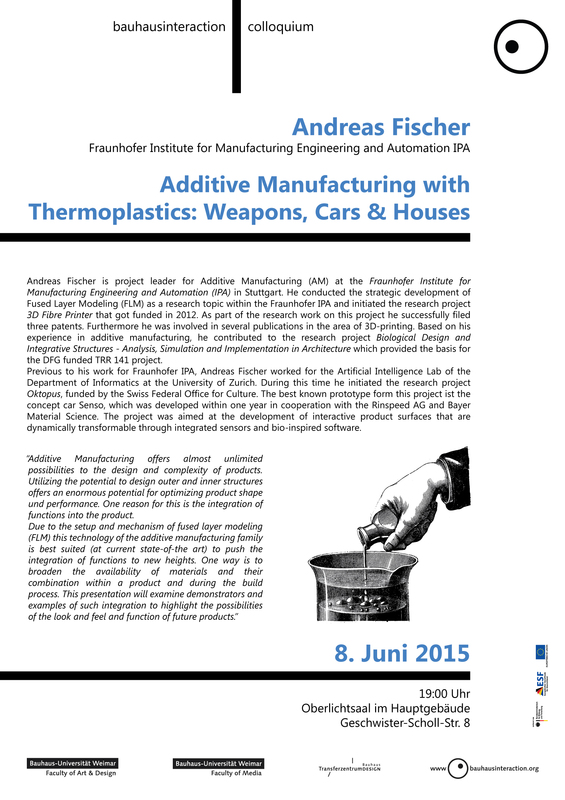 Based on his experience in additive manufacturing, he contributed to the research project “Biological Design and Integrative Structures – Analysis, Simulation and Implementation in Architecture” which provided the basis for the DFG funded TRR 141 project. Previous to his work for Fraunhofer IPA, Andreas Fischer worked for the Artificial Intelligence Lab of the Department of Informatics at the University of Zurich. During this time he initiated the research project “Oktopus”, funded by the Swiss Federal Office for Culture. The best known prototype form this project ist the concept car Senso, which was developed within one year in cooperation with the Rinspeed AG and Bayer Material Science. The project was aimed at the development of interactive product surfaces that are dynamically transformable through integrated sensors and bio-inspired software. “Additive Manufacturing offers almost unlimited possibilities to the design and complexity of products. Utilizing the potential to design outer and inner structures offers an enormous potential for optimizing product shape und performance. One reason for this is the integration of functions into the product.